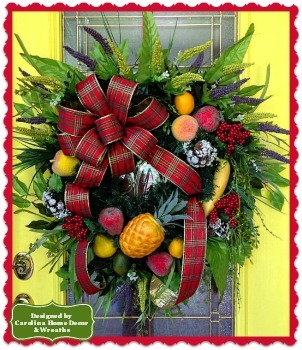 Absolutely Beautiful 30"+ Artificial Pine Wreath featuring a Designer Double Bow and Tails. 1st Bow has Off-White Background and Edged in Red with Holly Leaves & Berries Pattern throughout Ribbon. 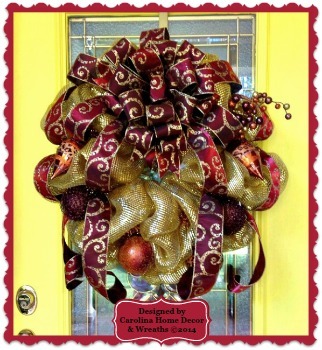 2nd Bow is Red Jute and adds a Perfect Splash of Color to this Wreath. 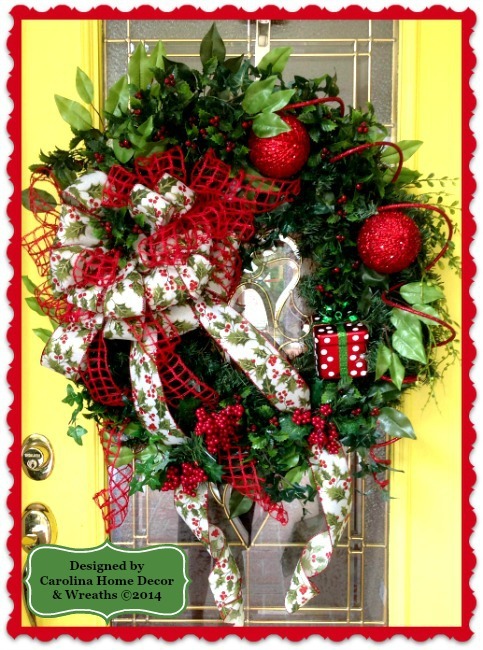 Ficus Leaves, Mini Ivy, Holly Leaves & Red Berries and Floral "Strings of Pearls" brings Artificial Pine to Life. 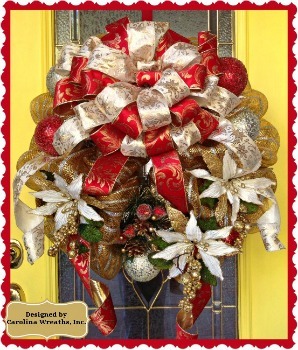 Embellishments include Red Glitter Ornaments, Red Present with Green Glitter Bow & Polka Dots, and Red Glamour Roping. Sprayed with Protectant. 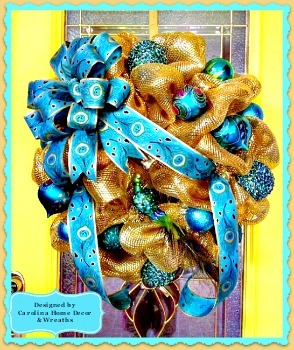 This Wreath is Gorgeous in Person!! !